Restaurant Manager offers a variety of resources and content available for download to help you learn even more about our products and services. Explore which POS System is best for you - we’re here to help you choose the best solution for your restaurant. 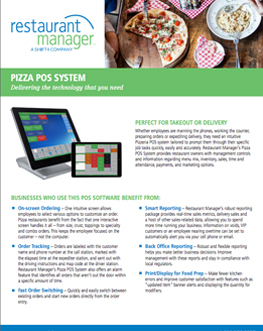 Ready to see how Restaurant Manager can help you increase sales and manage your restaurant? Get in touch with one of our authorized local resellers for a personalized demo!